There are at least a couple of you right now who are looking at their computers askance and thinking, "Why are we talking about that depressing Meryl Streep movie with the dead kids?" To which I would like to counter that you are clearly very classy people, if not great with names, and you're also probably on the wrong site. For those of you still with me, let's talk about novels: existential, pretentious, mind-bending, coming of age novels, to be precise. 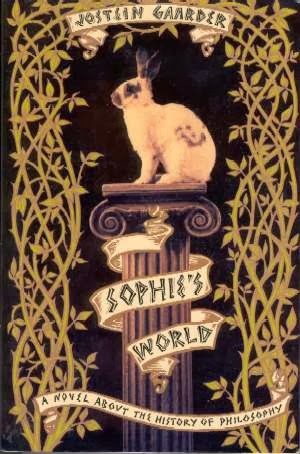 To be even more precise, let's talk about Sophie's World, the amazing book by Jostein Gaarder that manages to cover both the history of Western philosophy, and also what it's like to be a fifteen year old girl, in ways that actually don't feel all that unrelated to each other. I found this book when I was fifteen, or thereabouts, and it just totally bowled me over. I was already well on my way to being the kind of annoying, pretentious high schooler that carries a copy of The Communist Manifesto everywhere and likes to refer to foreign films by their proper non-English names (let's be real, I still am that person), but this is what really cemented me as the full-fledged weirdo that I became in high school. This one, singular book. I do not, for the record, mean that as a bad thing. This book is great. It's a book that's also very hard to explain, for some of the same reasons that it's hard to get at what precisely makes The LEGO Movie so good, at least without revealing the ending. Still, let's try. 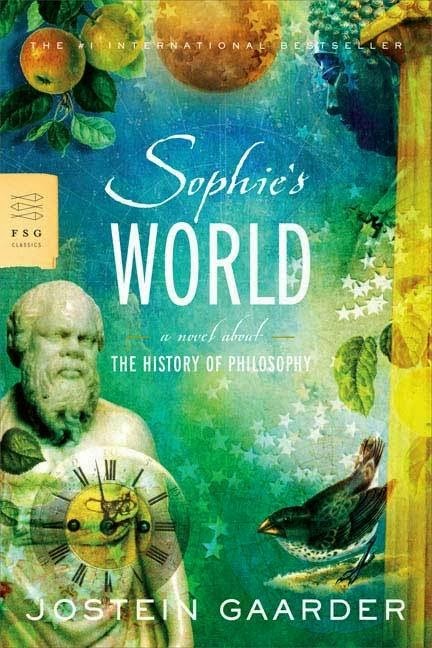 Sophie's World is a monster of a novel that combines, like I said before, the entire history of Western philosophy with a coming of age narrative. The main character (sometimes) is Sophie Amundsen, a fourteen year old girl in Norway, whose life is turned upside down when she receives three weird letters. The first is just a question: Who are you? The second is another question: Where does the world come from? And the third is a postcard for Hilde Møller Knag, c/o Sophie Amundsen. She doesn't know a Hilde. From there, Sophie goes on to receive more weird mail, but it starts to come together. She's somehow been entered into a correspondence class in philosophy (this is before online learning was the thing, because this is before the internet was a thing). 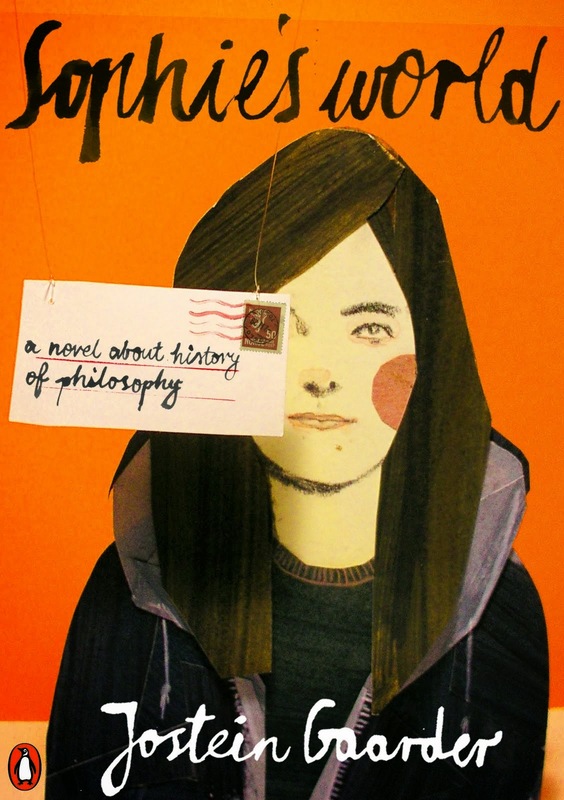 Her teacher is Alberto Knox, a middle-aged philosopher who lives in the same town, and remains anonymous at first, but reveals himself as the story goes on. Alberto has taken it upon himself to explain philosophy to Sophie. He doesn't really know why, but it's important. 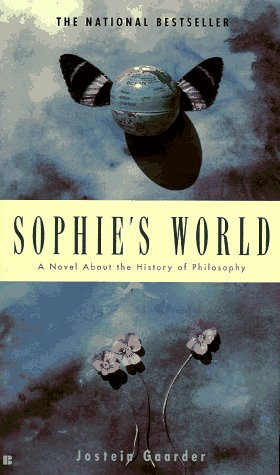 Alberto and Sophie's journeys through philosophy are important and engaging, but they're not the real point of the book. The point of the book actually comes rather early on, when Alberto tells Sophie about the magician's rabbit. You see, when a magician pulls a rabbit out of the hat, it's a very good trick, right? But the better trick is one you don't see. Because what about the mites that live in the rabbit's fur? They have their nice comfortable home and they get to go about their everyday mite lives. Only one day a mite happens to climb up the rabbit's fur just a little, and then a little more, and then all the way to the top. What if that mite saw the magician and the hat and realized that she was on a rabbit? What then? While this is going on, Sophie and Alberto continue to receive communications for "Hilde Møller Knag, c/o Sophie Amundsen", usually from Albert Knag, presumably her father. Albert Knag is stationed with the UN in Lebanon, but he is also very present in Sophie's village, in every passing moment. Albert Knag, we are led to understand, is almost a god. And Alberto's not okay with that. He isn't sure who Albert Knag is, but he knows that Mr. Knag has weird intentions for Sophie, and that Sophie's best defense is her knowledge of philosophy. It's at this point that the book really goes off the rails. And I have no intention of explaining how it does that, so we're going to have to vague it up. Suffice to say that this book is really, really awesome. Not just because the story is compelling or because I happen to dig philosophy, or even because it's a book that meant a lot to me when I was younger. I actually really love this book primarily now because of what it says, implicitly, about the world. Namely, that our lives and fates are shaped by how much we understand of what is happening around us (what is really happening around us), and that teaching a teenage girl about philosophy can not only save her life, but it could radically change the world. I am totally on board with both of those ideas. Your life and the decisions that you make are determined in large part by what you know. The information you go in with. And the more you know, the better your decisions, right? Well, the point of philosophy is to know, with absolute certainty, what you know. In other words, philosophy is about understanding, really understanding, the world around you, and understanding all of the implicit assumptions we make about that world. And then shattering them to figure out what the truth really is. I think in a large part this book appeals to me because I am religious. I've mentioned it before, but, yeah, I'm a Christian - Protestant non-denominational, if you want to get specific - and that informs a huge amount of how I view the world and the people around me. I believe that there is more to this world than what we see. That we are just mites on a rabbit's fur, trying to get a glimpse of the magician. And I believe whole-heartedly that what we see when we climb up that hair is vitally important to how we live our lives down on the ground. More than that, though, I love that this book is about a teenage girl. It's about a teenage girl who learns about her universe and decides to shape events and things much bigger than herself. It's about the awesome power that comes from a little knowledge, and it's about the idea that a teenage girl can be the most important person in the world. Like I said, I am totally down with that. I really wish I could reveal the ending here, so that you can all appreciate it with me (because it is so totally brilliant), but I'm not that cruel. You'll just have to read the book. Yeah, it's a lot of philosophy. But that's not exactly a bad thing. I majored in Philosophy because of this book. This book taught me how to think, how to reason, and why it's important to do so, and for that I will always be grateful. I don't have a graceful way to wrap this up, really, but I do think that this book is worth a shot. It's not an easy read, but, then, that's not really a bad thing either. Things you have to earn usually taste much sweeter in the end. Also, Sophie is pretty seriously kickass.